Looking down on Smith’s Cove, any follower of the Money Pit mystery will instantly recognise it as one of the most photogenic vistas on Oak Island. At low tide, the shore reveals reflective pools, bars of shingle and mounds of enigmatic boulders, but much of this small beach’s appeal lies beneath the surface. 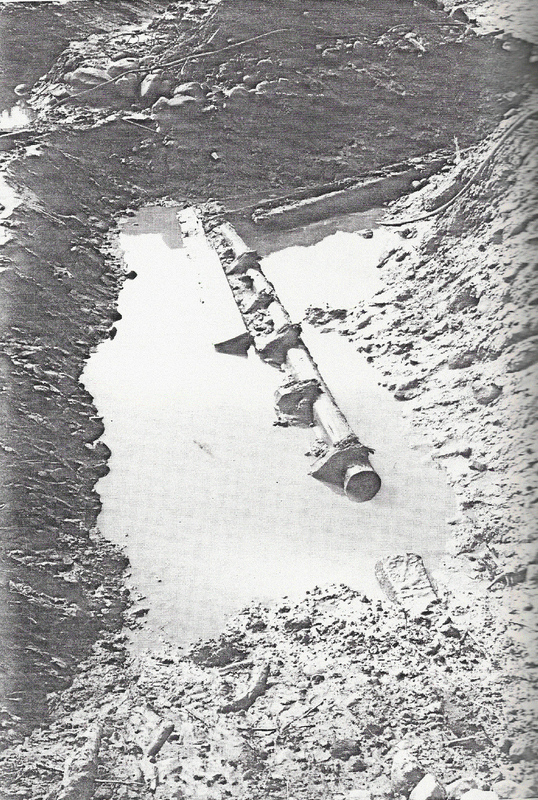 Back in 1965, Robert Dunfield conducted an extensive exploration of the area, believing the beach to feed the flood tunnels of the Money Pit. Dunfield’s son, Robert Dunfield II, has kindly supplied Oak Island Treasure with many photos, diagrams and anecdotes over the years. 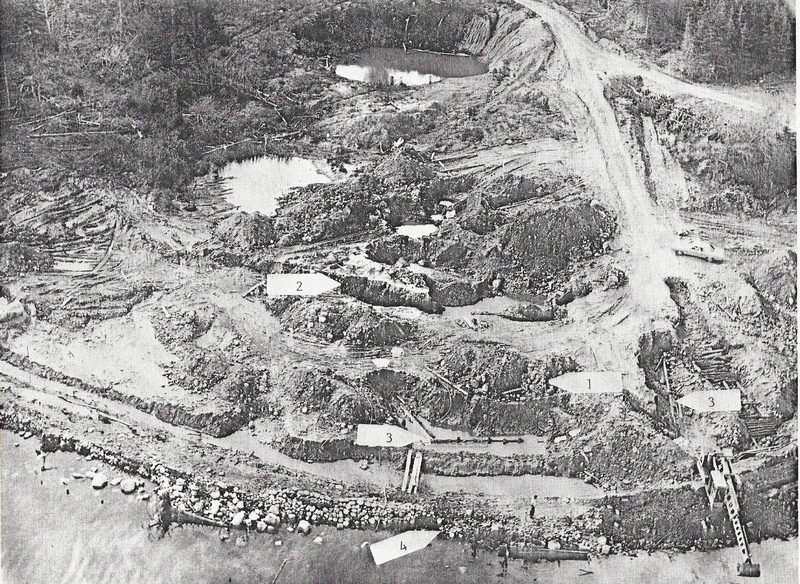 The following aerial photo of Smith’s Cove was taken during excavation work in 1970. Robert indicates (1) the previous searcher’s coffer dam, (2) the location of where coconut fiber was found, (3) the “U” shaped log structures and (4) Triton’s 1970 coffer dam. Here is an aerial view of the workings exposed after much of the work was done and a lot of soil and rocks were removed from the Smith’s Cove area. 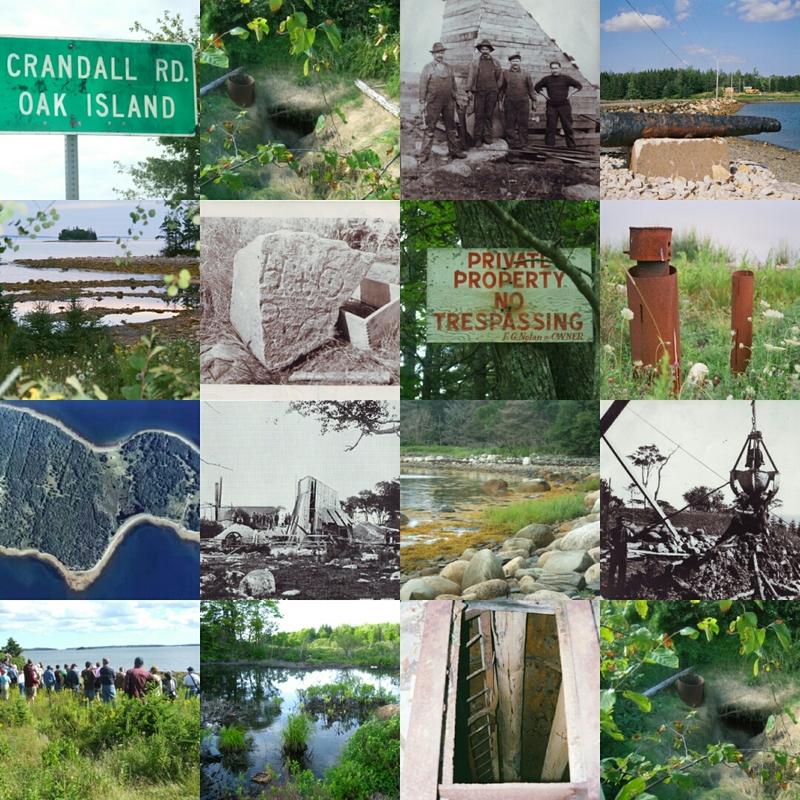 Robert Dunfield’s study of the area, and the generosity of his son sharing information means we can enjoy detailed records and photographs of the structures which were once in place beneath Smith’s Cove. Part of the log structure uncovered 4ft. below the seabed at Smith’s Cove. 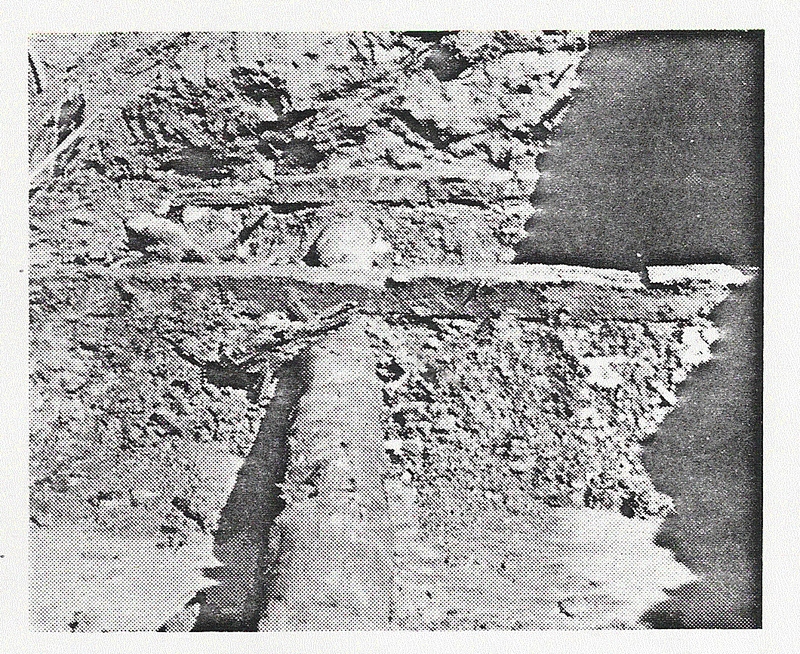 The depth of this structure and its position outside the perimeter of the previous searchers’ coffer dam indicates that it is original work. 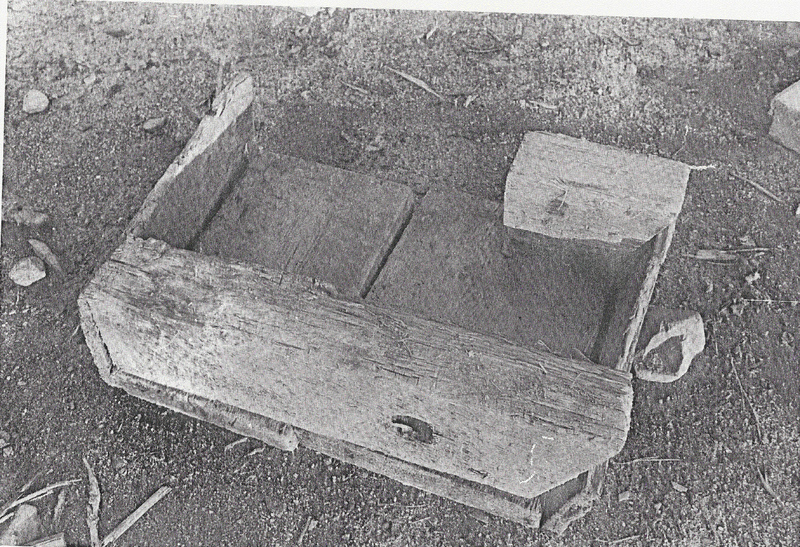 This wooden box was found at the cove adjacent to one of the buried logs. It is believed to possibly have been used to remove rocks during tunnelling operations, similar to the processes seen in the popular film, The Great Escape. 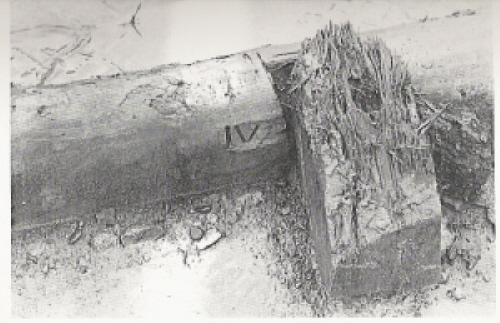 On a couple of the logs found beneath Smith’s Cove, Roman numerals were spotted. 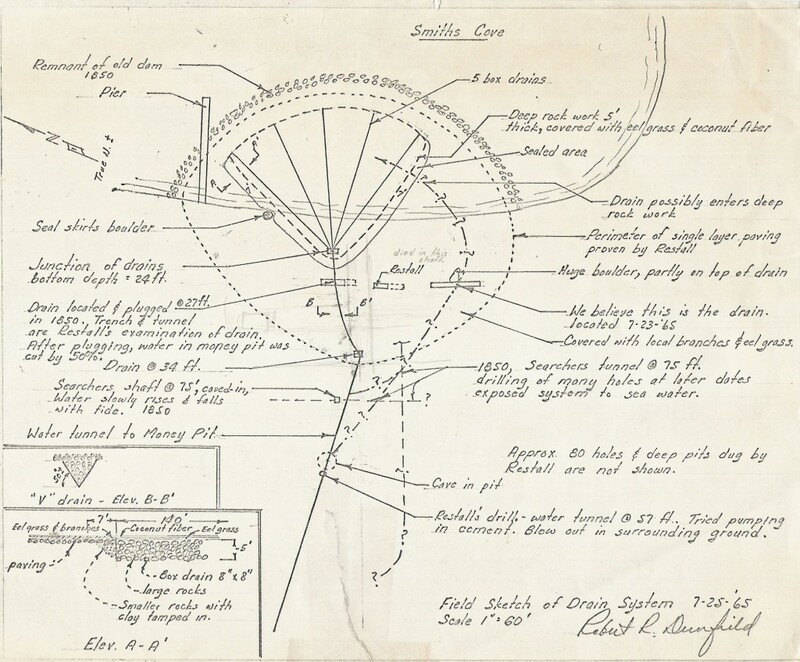 It has been discussed on the Oak Island Treasure Forum whether these may be carpenters’ ‘marriage marks’ used to match up corresponding sections when constructing structures. Back in 2005, a sample of the wood was sent for identification to Alex Wiedenhoeft, Botanist with the CWAR. It was identified as “a species of Spruce, Pices sp.”. This is not surprising, as the Red Spruce, Picea rubens, is the Provincial tree of Nova Scotia and species of Spruce may be found throughout the province. Had it been a non-indigenous species, it may well have yielded a clue as to the Money Pit’s creators, however, this demonstrates that the engineers of Smith’s Cove were working with local materials. 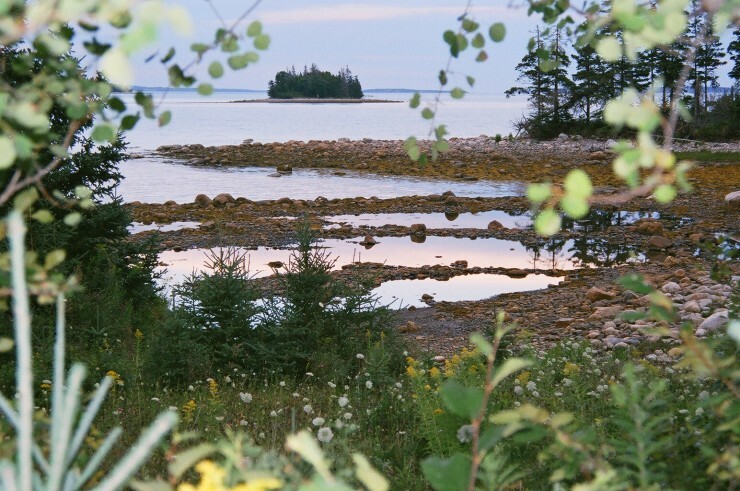 In 2015, we still find ourselves puzzling over the remnant structures of Smith’s Cove. Perhaps their real purpose will never be known, but one thing is certain – something certainly went on down there in that picturesque cove. There is no money-pit, it is a ludicrous fiction without a grain of credibility or evidence. The flood tunnel hypothesis is just a joke. What possible point could there be in the whole ridiculous set-up? If you want to hide ‘treasure’ (I can hardly bring myself to use the word for embarrassment) just dig a hole and fill it in and keep its location a secret. No need for anything else.